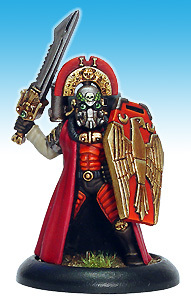 Convict Legionaries usually provide the core of any Legion force, led by experienced Decurions or Lictors. Exo-Suits, Praetorians and Dune Raiders provide support. Additionally it is not uncommon for Legion forces to draw support from local Gladiator stables if there is a shortage of manpower, or if specialist skills or local knowledge are required. Legionaries are criminals forced to serve their time in the Convict Legions. In battle these penal legions are used pretty much as cannon fodder, scouting out dangerous terrain and charging in suicidal frontal assaults to soften up enemy positions. They have a miserable time of it on the whole, and low morale and poor training are real problems. 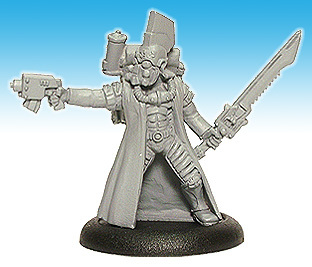 All Legionaries are surgically fitted with neural spikes that combine the functions of a tracking device and, more disturbingly, a behavioural enforcement device. When triggered by a Lictor, the hated and feared overseers, these devices can cause excruciating pain, and can even be used as a means of summary execution. 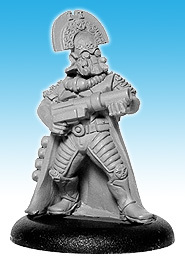 Decurions are the squad leaders of the Convict Legions, and command the grudging respect of their fellows. They are only ever promoted from the ranks of legionaries that have survived several combats, as it’s assumed that their mere survival shows that they have what it takes. 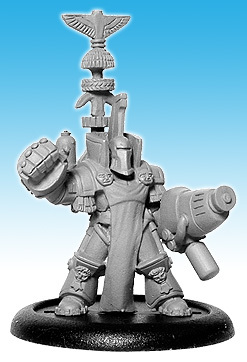 Legionary Chain Gunners provide devastating close range anti personnel support, their high rate of fire virtually guaranteeing a high enemy body count. In situations where collateral damage and friendly fire casualties are of even less importance than usual, flame throwers make an ideal close support choice. Their opponents rightly fear legionaries armed with these weapons. 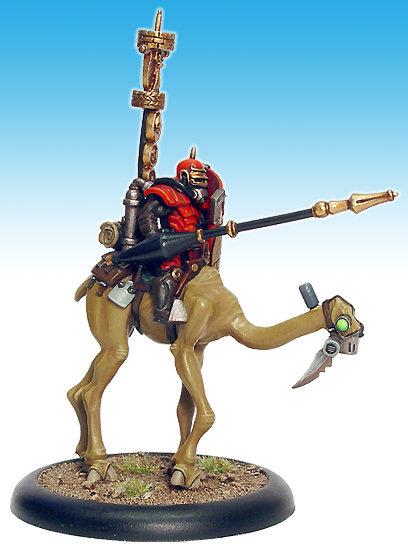 Lancers are the primary infantry level anti armour troops of the Legions. Armed with the crude but effective Thermite Lance these legionaries must engage in close combat with their opponent in order to bring their weapon to bear. Inevitably casualties tend to be high, but then life is cheap in the Legions. 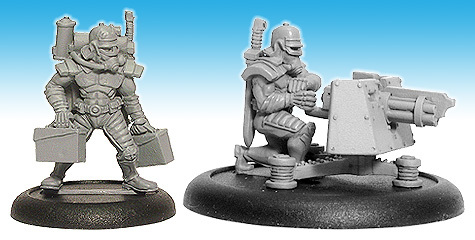 Legionaries armed with grenades are invaluable for softening up enemy positions before the assault troops go in. They’re also extremely useful for disrupting enemy attacks, or for clearing out nests of hard to get at enemies. 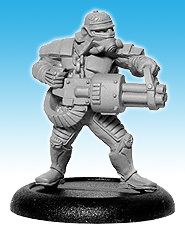 Heavy Chain Gun Teams are one of the most commonly deployed light support units fielded by the Legions. Boasting a very high rate of fire and a respectably long range, heavy chain guns are excellent anti personnel and suppressive fire weapons. 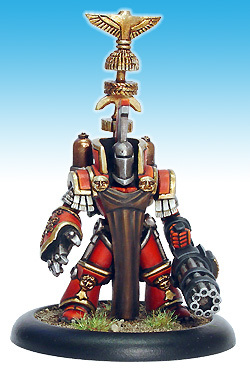 Heavy chain guns are usually crewed by two legionaries, though if heavy casualties are expected extra crew may be added.
. Exo-Suits are power assisted armoured battle suits. Hurriedly developed from commercial lifters, the first generation exo-suits distinguished themselves in the bitter secession wars between Ironglass and Viridia. Their immense strength and durability proving invaluable in close quarter actions aboard starships and in the winding tunnels beneath the Red Erg. Since that time exo-suit technology has moved on and the ones in use now are purpose built military hardware that come equipped with a variety of close range and assault weaponry. Exo-Suit Decurions are the squad leaders of the exo-suit cohorts, and like their comrades they are equipped with powerful battle suits kitted out for close assault missions. These men and women are perhaps the pinnacle of convict soldiery. In order to gain the rank of decurion they must have proved themselves time and again, and have shown that they are worthy of the trust of their comrades and superiors. For many, assuming they survive long enough, freedom or selection for the Praetorian Guard will be their next step. 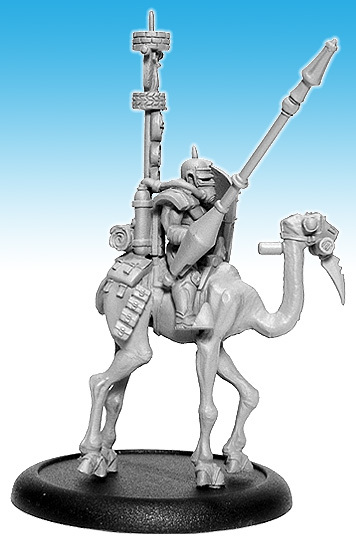 Mounted on bad tempered desert beasts descended from the wild herds that roam the vastnesses of the Red Erg, Sandrunners are part of the cavalry arm of the Legions. 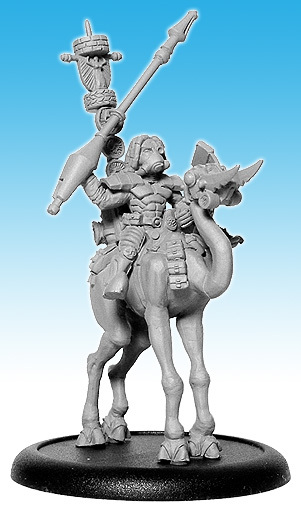 The stamina and cross-country capabilities of their mounts is legendary and these troops fulfil a variety of roles, acting as shock cavalry, scouts, foragers, raiders and security patrols among other things. 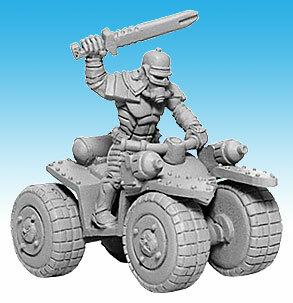 Sandrunner legionaries are armed only for close combat, wielding powerful Thermite Lances that are capable of knocking out heavily armoured foes and even small vehicles. 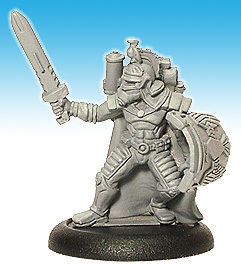 Just as with their comrades in the legionary infantry, Decurions must have survived several combats and earned the respect of their peers and superiors in order to gain command of their squad. In common with their squad mates they are armed with powerful Thermite Lances. Dune Raider units are equipped with rugged quad bikes that are usually fitted with heavily modified versions of standard infantry weapons. These legionaries are generally employed for scouting out enemy positions, harrying isolated pockets of enemy resistance and providing support to the slower foot based elements of the army. These fast attack elements of the Junker Legions also have a well-deserved reputation for depravity, and mobile strike forces are often detailed off to pillage and despoil regions deep within enemy territory. As is the norm in the Legions, Dune Raider Decurions have gained their rank through merit and many hard fought battles. They invariably lead from the front and will always be found in the thick of the fighting, or hunting out the richest loot. Those criminals deemed too politically unsound, difficult to rehabilitate, or otherwise too unreliable to serve in the Legions, instead are sentenced to the Convict Auxilia. 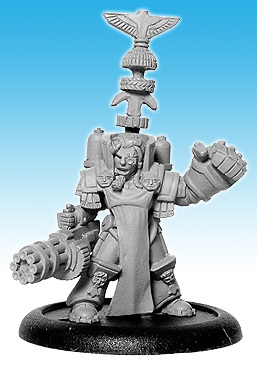 Just as with Legionaries, all Auxilia are surgically fitted with Neural Spikes. Equipped only for close combat, they are a cheap source of throwaway troops and are also used as slave labour. The only ways out of the Convict Auxilia are a transfer out to the Legions as a reward for good behaviour, or in a body bag. 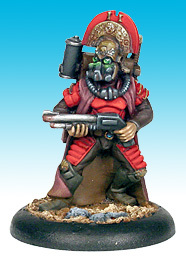 Decurions are the squad leaders of the Convict Auxilia, and just as with the Legions, promotion to this rank is only ever gained after surviving several combats. Attaining the rank of Decurion is often the first step to gaining a transfer out to the Legions, where life is marginally less harsh. For this reason competition for Decurion status is fierce, indeed often lethal. Sometimes the process of being fitted with a neural spike causes brain damage, resulting in anything from minor personality disorders, to disablement or death. In such cases some of the victims can still serve a purpose in the Legions, as Thermite Bombers. Selected for psychopathic and fanatical characteristics and controlled by a mixture of combat drugs and crude brainwashing, these convicts are fitted with explosive harnesses. They are then used as shock troops, rushing towards the enemy and hopefully self-detonating. At best they are like cheap smart missiles, though they are erratic and can be difficult to control. 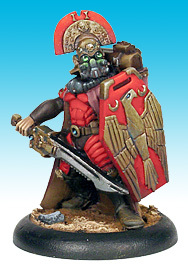 Lictors enforce loyalty and discipline in the Legions. Though they enforce the will of the Legion’s military commanders their loyalty is ultimately to their Censor, a direct representative of the Ironglass Senate. In combat they stalk alongside the masses of legionaries, exhorting them to advance and watching them with a pitiless eye. 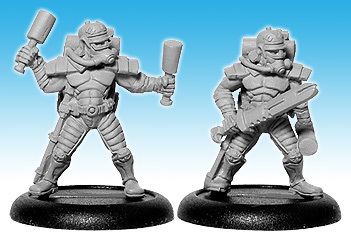 Equipped with Neural Enforcement Units, they exert discipline over the convicts with the threat of punishment or execution via their neural spikes. Accordingly they are hated and feared in equal measure. 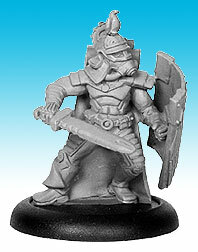 The Praetorian Guard is composed of hardened veterans dedicated to the service of the Senate of Ironglass. The men and women comprising these forces are ex legionaries who on gaining their freedom, either by distinguishing themselves or at the end of their sentence, have volunteered for service in the Guard. With their neural spikes removed, and the hollow eye cavity often filled with a replacement organ or artificial eye, they wear their scars with pride. 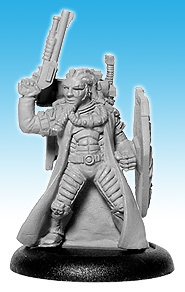 Professional soldiers that they are, in battle the Praetorians are highly respected as bitter and tenacious foes. 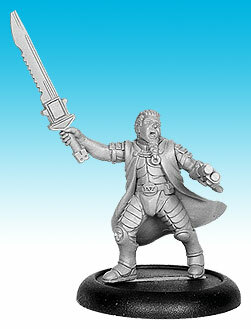 Praetorians often form the bodyguard of important dignitaries and officers. 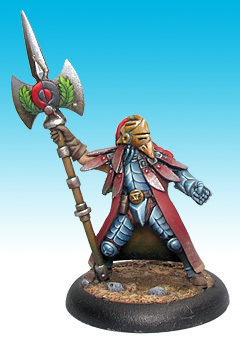 Indeed such is the status of the Guard that more than a few Centurions, Lictors and the like are ex guardsmen themselves. 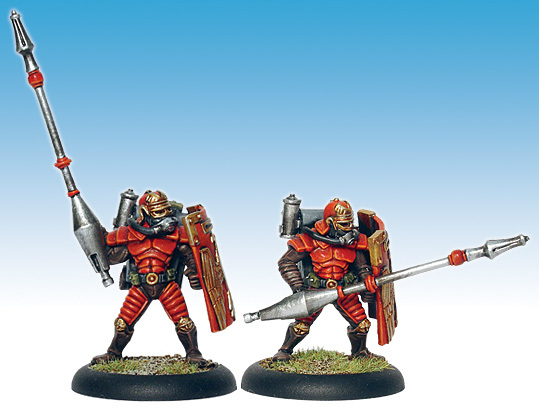 Leading each Praetorian squad is a Decurion. As with their squad mates, these are men and women of grim unbending will, driven by a total dedication to the performance of their orders. 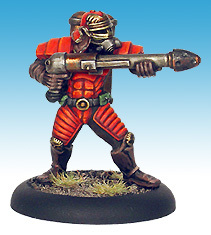 Nicknamed ‘Hellfire’ troopers, Praetorian Guards with Grenade Launchers and incendiary rounds provide close to medium range support for their comrades. With scant regard for collateral damage and the occasional friendly fire incident, these troops are much feared by their opponents. Urban War ist ein eingetragenes Warenzeichen von Urban Mammoth Ltd. Alle gekennzeichneten Bilder sind © Urban Mammoth Ltd.